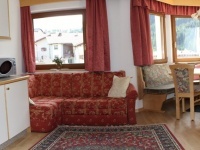 Our comfortable apartments are arranged with a living room a double bedroom, bathroom and WC. 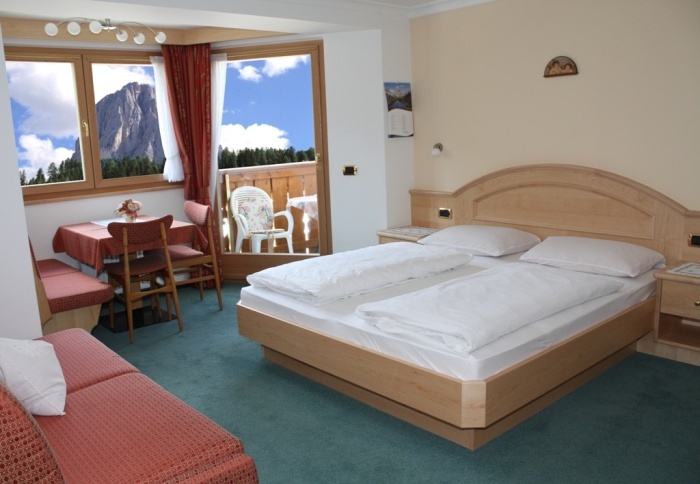 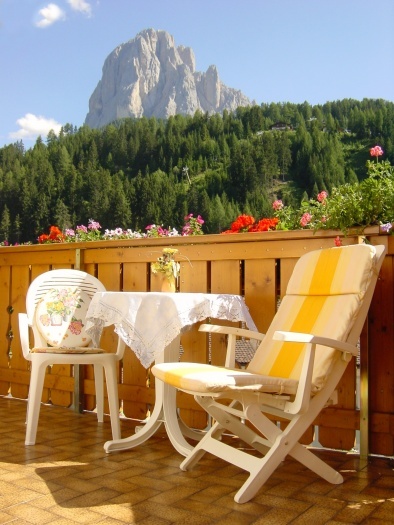 They include a TV, safe and a balcony with wonderful view to the majestic Mountain Sassolungo. 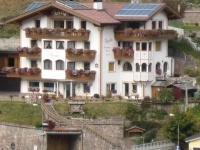 Our house is situated right in the center of the mountain village S. Christina. 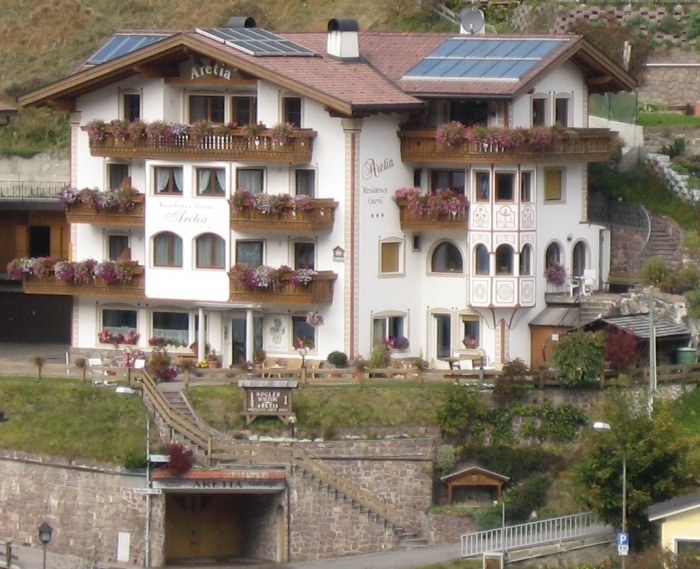 The first ski- chairlift is a 5minutes walk from our house away. 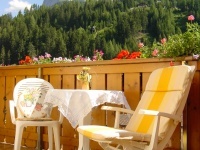 Moreover in front of the house there is the skibus stop, which brings you to all desired lifts and cable cars.